Welcome to Episode 165 of Gun Guy Radio! This is the podcast that shines a positive light on the firearms lifestyle. I’m Your host Ryan Michad and this is your weekly dose of positive firearms talk, without the politics. How are you doing Weerd? -Shot the CZ Scorpion EVO 3 and the Kahr CM9 9mm along with some AK-47 platform rifles! Weerd Beard and I have been discussing for a long time what we like in rifles. Traditionally, Weerd and I are talking on Handgun Radio and because of that, we don’t talk about rifles much. If you haven’t heard my thoughts on the matter, I’m not a terribly huge fan of the AR platform. I’m not sure why that is, I know I don’t like the rifles with a bunch of stuff on them, and I’m also not a huge fan of optics. I DO like the SKS, the AK pattern guns (Particularly the AK-74) and the M-14 platform. Each of those systems have their quirks however, and they must be accounted for. 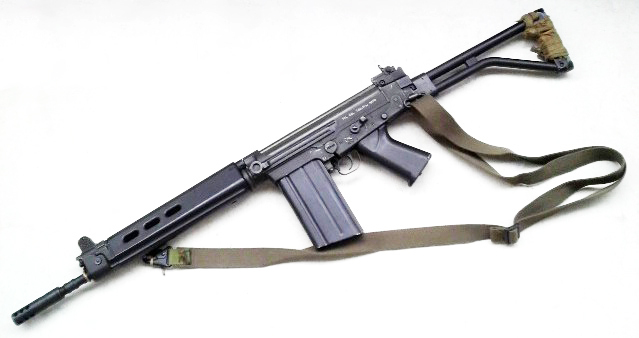 Weerd is a huge fan of the FAL, and I don’t have a huge amount of experience with them. So I figured it would be a good discussion to talk about the two platforms and why we think they are cool! Check out Weerd Beard at Weerd World, The Squirrel Report & GunBlog Variety Cast! Don’t forget to check out the other shows on the Firearms Radio Network!